When I say “all the data” being written, I was of course being a little economical with the truth, as when I started my first steps into reading it back in I immediately discovered several properties that I’d missed. It’s going to be a long road, isn’t it? As with all the previous steps in this process, the ultimate plan is deceptively simple, but is fraught with so many tiny little nuances that it’s a mammoth task. As the game is going to function over the course of many different levels, I need to do a good deal of cleaning-up before I even start loading a saved game. There are several persistent campaign-level objects that hang around with faction and character data, plus the player’s character itself, that need to be blatted so that nothing can leak through. In order to ensure everything is torn down in the right order, I’m transitioning to an empty scene before actually doing anything specific — this should ensure that any level logic stops talking up to the campaign elements before those are destroyed. Then I need to unhook the UI from the player character so it doesn’t throw a hissy-fit when the hero is erased from existence. So many things that I call once to initialise the game, written years ago and barely touched since, suddenly have to be remembered and unhooked! Then it’s time to bring back the global campaign data. The faction and character data is the easiest stuff to reload because it’s already just numbers and strings — it’s raw data rather than inter-object relationships. The same goes for persistent quest variables. This also needs to be loaded before I actually send the player back to the level they were in, because that level will need to refer to this global data in its own initialisation flow. Loading the hero is where things get interesting. 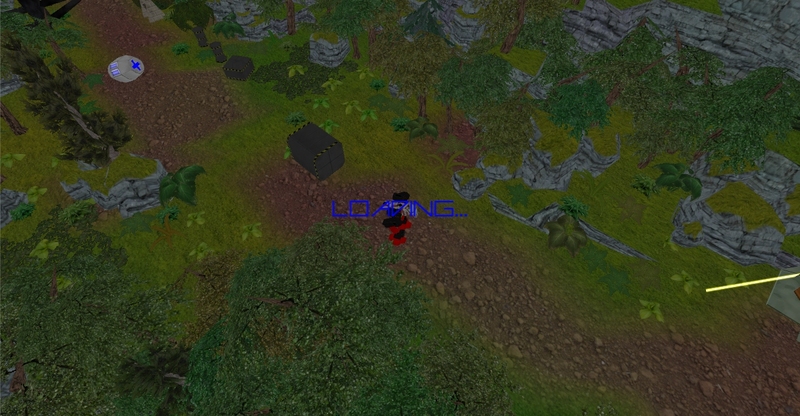 The player’s mech exists outside of time, so it automatically persists between levels. By loading it here, I am ensuring that returning to the level will behave exactly the same if you’re reloading it as when you’re entering it for the first time — in both cases, with a hero already in existence. My plan to handle this first involved assigning every prefab a unique identifier. When I save the hero’s data, all of its objects go in with the relevant identifiers, so I have an instruction set of which source objects were used to assemble the unit plus all the internal values that had accrued during their time in the game world. In order to map between those identifiers and the actual objects they refer to, I have plumped for reinventing Warcraft III‘s concept of a Listfile. I had already made a load of editor scripts that automatically assign prefab identifiers, so I extended this to also save that identifier and the file path of its object into into my new listfiles. Thus when I spin through the saved data for the hero, I can take each identifier to the listfile to get the actual object which can then be safely bring to life. Rinse and repeat for all the chunks, their paintwork and the items the hero was carrying. There are two kinds of data in the world — flat values like amounts of health and timers, and links between two live objects. Objects are always going to be recreated in non-deterministic order, so while loading the level initially it is not possible to link objects to each other — as one side of any given relationship might not exist yet. Thus there are two steps to loading a particular object; Restore and Relink. The first brings it back to life with all its flat values, the second searches the database of restored objects to turn all those meaningless identifiers back into real in-memory references. As I said, the overall plan is simple but the number of weird little nuances and edge cases is monstrous, so I’ll likely be fiddling with it for weeks before it actually successfully loads a game. No rest for the wicked! This entry was posted in Game Development and tagged Exon, loading, No Excuses, saving, Unity by Rao Dao Zao. Bookmark the permalink.